I used to watch “Dynasty” and “Dallas” in the 1980’s. Because of that my perceptions of wealthy households were based on J. R. Ewing and the Carringtons. Little did I know that because they were based in Dallas and Denver, they represented “new wealth” and not “old wealth”. 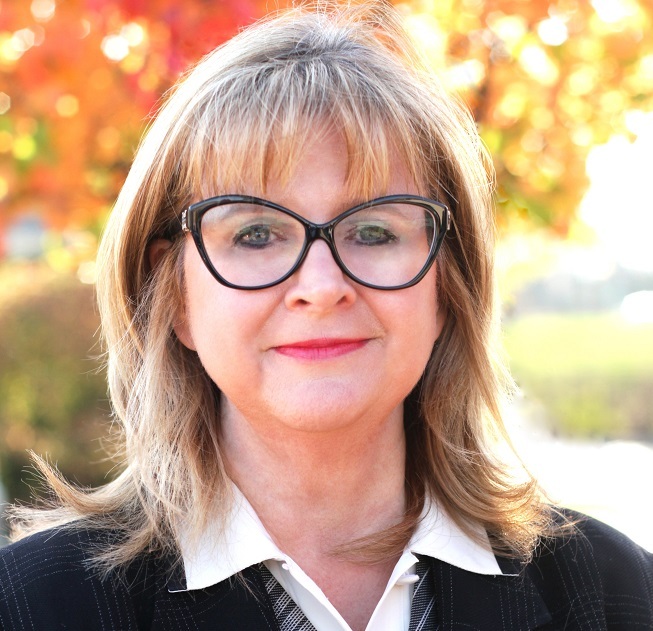 When I first started to work in the financial services industry, my job was with a firm that did financial planning for senior executives at large corporations. Thus, my perception of “wealth management” hovered somewhere between financial planning and someone who helps manage oil wells. Now that I have several years under my belt, I realize that wealth management, as offered by the financial advisory business today, is very different from my original perceptions. But what Spectrem’s recent research has found is that some of my naïve perceptions aren’t that far off from what investors actually believe is included in wealth management. In the industry, the terms “holistic” and “comprehensive” are often used to describe wealth management. When affluent investors hear those phrases, they form an opinion of what services are included in wealth management. 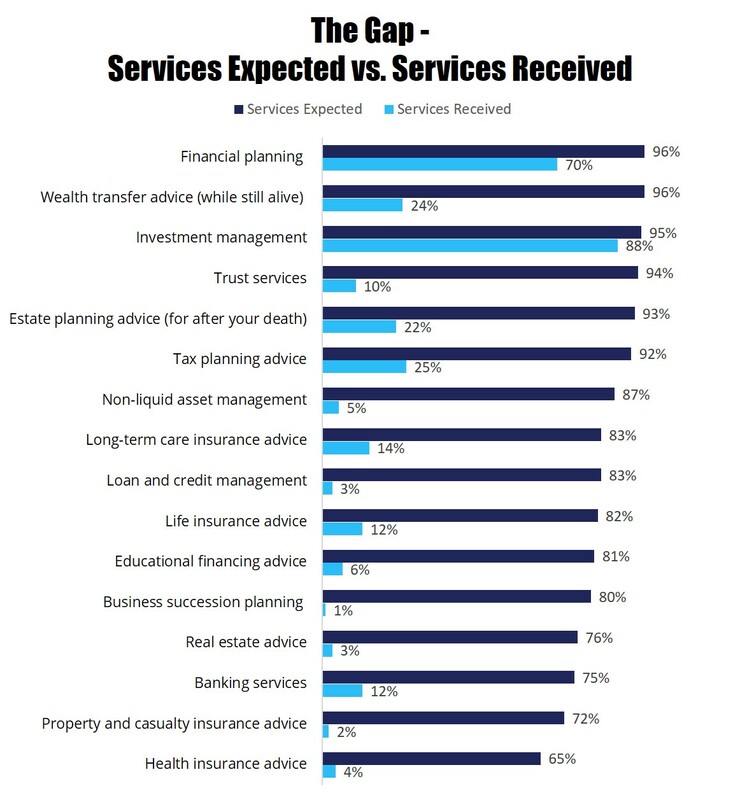 As you can see from the chart, basically two-thirds of investors believe all of the services listed, from financial planning to advice about health insurance are all included in wealth management services. Roughly a third of investors (those with $100,000 to $25 million of net worth) indicate they receive wealth management services from their primary financial advisor. This amount increases as net worth increases with 65% of those with more than $15 million in net worth receiving wealth management services. The bottom line represents the wealth management services they actually receive compared to the services they expect. As you can see, with the exception of investment management and financial planning, there are significant gaps between the services received and those expected. Most financial advisors do not have the skill sets to be experts on all of the topics included in the chart. But wouldn’t it be nice if the financial advisor could bring in the expert to assist with questions regarding all of these different topics. Just like a financial advisor does not have the background or time to become an expert in real estate or health insurance or tax planning, the average investor does not have the time to become an expert either. So what does he or she do? Relies on an additional advisor or advisory firm or looks information up on the internet and tries to make the right decision on their own. It’s time for financial advisory firms to stop spending time on only the topics they feel comfortable with and expand their services and expertise to all of the areas that investors are worried about. Clearly it may require investment of time and assets to bring multiple types of expertise under one roof. But as investors become increasingly sophisticated about researching investments, won’t expertise become the value added? Investors already believe that “holistic” wealth management is actually “holistic”. Maybe it’s time to actually make it so.